COTTONWOOD HEIGHTS – After finding the back of the net in the game’s first minute, the Brighton High girls soccer team was in good position to hand its visitors from South Jordan their first loss of the season. 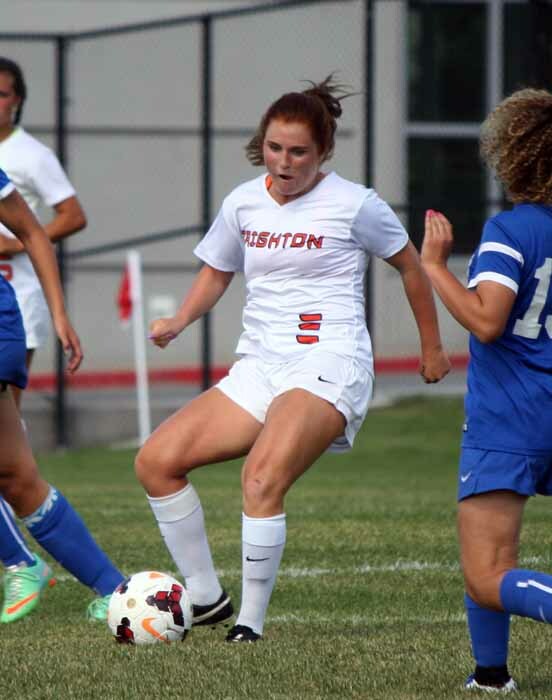 The rest of the match was much more competitive than that quick start might have indicated, but the Bengals took advantage of their opportunities to beat their Region 3 rivals, Bingham, 3-1 Tuesday afternoon. By halftime, the contest was deadlocked at 1-1 and the Miners were playing Brighton even up. Then, in the second half, a couple of Bingham mistakes opened the door for the home team and in a relatively even matchup that was enough to provide the margin of victory. 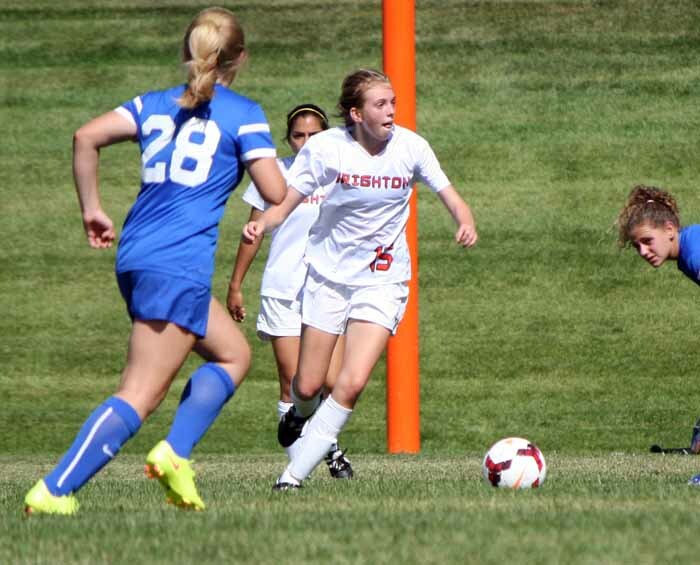 Freshman striker Kaitlyn Conley got things started for the Bengals just 40 seconds in. She gained possession at the edge of the penalty area and pushed the ball towards the 12-yard spot and when no defender was quick to challenge, she unleashed a left-footed shot into the open corner of the net. While Brighton was exceptional at moving the ball on the ground, creating angles and build-up through passing combinations, the Miners strong playing longer balls in more of a vertical style of play. Both systems worked, although Bingham’s offense during the first 30 minutes seemed to bog down quite a bit in the offensive third. The scored remained 1-0 until the 34th minute. The Miners earned a series of corner kicks beginning with about 10 minutes to play before intermission, and one of those created a situation that eventually led to the equalizer. Sitting at a tough angle to Brighton goalie Megan Turner’s left side, senior midfielder Kaitlin La nevertheless fired a shot on goal for Bingham. Turner stopped the shot, but failed to catch it cleanly and the ball bounced from her chest to the inside of the side netting of the goal, just inside the post. The flow of play in the second half was much like the first, except both teams created a higher number of good scoring chances. For the most part, the keepers were up to the challenge. Turner delivered a number of saves for the Bengals, including a couple that required her to scramble to secure the ball to avoid a rebound shot on frame. 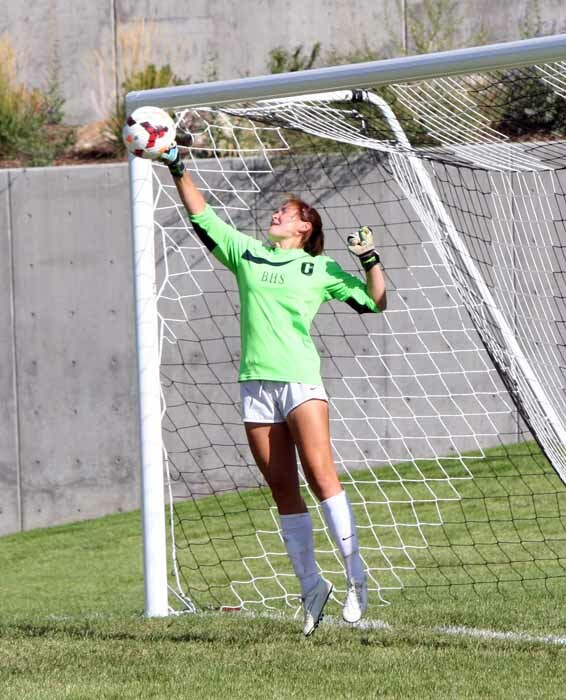 At the other end, senior goalkeeper Madison Loftus was equally adept at turning aside shots. She was solid, in particular, at coming out to challenge attackers and protect her net. There were, however, two situations that left her helpless to prevent Brighton from finishing. The first came in the 57th minute, when a Miner defender got too much of a Bengal attacker who was facing away from the goal near the edge of the penalty area, along the goal line. The resulting foul call put Brighton defender Taylor Kasteler at the 12-yard spot for a penalty kick. The senior ripped a shot to the left of Loftus, who got a piece of the ball, but it got past her into the twine. Twelve minutes later, a Bingham defender attempting to play the ball back to Loftus hit the ball too softly. Before the pass arrived to the Miner goalie, Conley intercepted it. She then beat Loftus with a dribble move to her left and rolled the ball home to move the margin to 3-1. 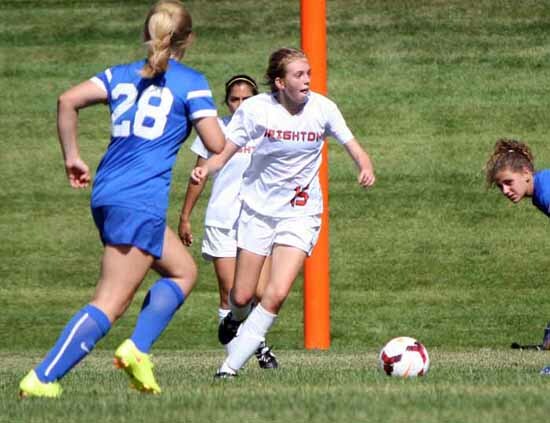 In the end, it was the defensive mistakes and the fact that Bingham (1-1 in Region 3, 5-1 overall) was unable to get many shots inside of 15 yards against a defense anchored by senior Gracie Geurts that made all the difference as Brighton (3-0, 4-2-1) moves on top of the Region 3 standings. The Bengals get six days off before visiting Copper Hills (1-1-1, 3-2-1) next Tuesday. The Grizzlies will be at Bingham Thursday before getting to the matchup with league-leading Brighton.